I don’t know about you, but I find it amazing that the by-product of crabs digging holes are these little balls of sand. Often there’ll be dozens of clusters along the beach. Nice one crabs! Keep up the good work. This entry was posted in Beach by stevemanning1976. Bookmark the permalink. Wow! 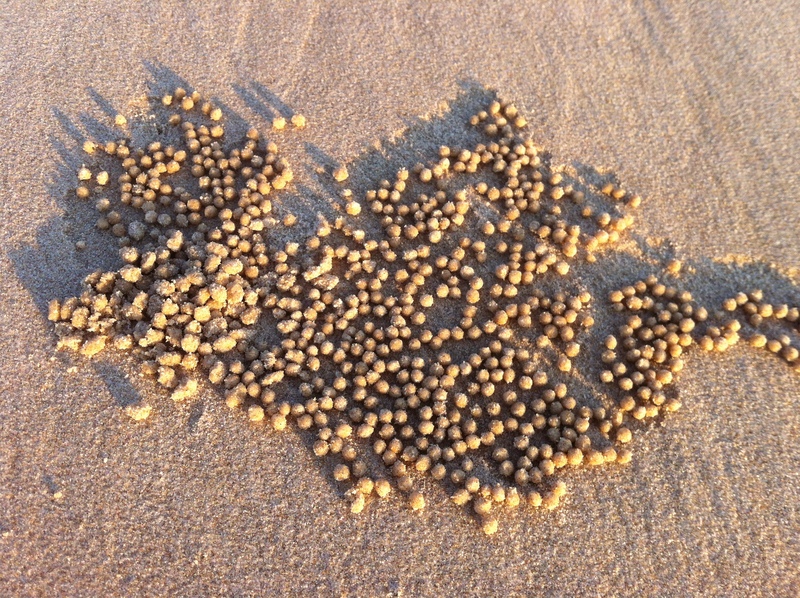 How long would it take a human to roll up all those balls and leave them neatly on the sand?…..and we have 2 hands.